Ochs is primarily found in the worlds of “avant-garde” or “improvised music.” That means that he composes music for “structured improvisation” in general, and in particular for musicians steeped in the art of improvisation, an art form that has really only come into its own in the past 50 years in Western music, primarily thanks to the development of jazz as influenced by the blues and then Western art music, as well as to the increased exposure of Western musicians to the music of Asia, Africa and Eastern Europe. But any artists in the visual arts or other performance-based arts that have an interest in taking chances are welcomed in. Thus, for example, he has worked recently with Shinichi Iova Koga and his dance group inkBoat; he is at the beginning of a relationship with We Players, a very cool theater company in the Bay Area, and is into ongoing work with Korean performance artist and vocalist Dohee Lee. Rova Saxophone Quartet: Since 1978, Ochs's professional activities have been primarily centered around the Rova Saxophone Quartet, (www.rova.org) which has made over thirty-five European tours plus numerous concerts throughout the U.S. and Canada, as well as recording over 30 CDs/LPs as a quartet and/or in collaboration with other artists. Ochs has created roughly two dozen compositions for saxophone quartet as well as other pieces for Rova when working within larger ensembles, many of which are recorded, and some of which were commissioned by Chamber Music America/Doris Duke Foundation and Meet the Composer. He has been acting executive director of Rova:Arts since 1988. A recent concert video and accompanying documentary on the making of “Electric Ascension” recorded at 2012 Guelph Jazz Festival will be screened at film festivals in 2014-15. In addition Ochs currently composes for and leads Larry Ochs Sax & Drumming Core with Scott Amendola, Don Robinson, Satoko Fujii, and Natsuki Tamura ("Stone Shift"- 2009 CD) and Kihnoua with vocalist Dohee Lee, Scott Amendola and special guests ("The Sybil’s Whisper"- 2012 CD). 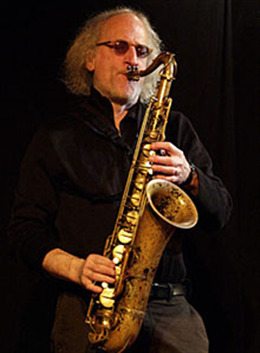 He is performing in and composing for more “collective” bands such as: East-West Collective - with Didier Petit, Sylvain Kassap, Miya Masaoka, Xu Fengxia ("Humeurs" - 2014 CD); Ochs-Robinson Duo with drummer Don Robinson; Jones Jones - with Mark Dresser and Vladimir Tarasov ("We All Feel the Same Way"- 2010 CD); Maybe Monday - with Miya Masaoka and Fred Frith (Unsquare -2008 CD); Shelton-Ochs Quartet with Aram Shelton, Kjell Nordeson and Mark Dresser; Trio Dave Rempis- Darren Johnston- Larry Ochs (“Spectral“- 2014 CD). Details on tours and recordings, and several interviews at www.ochs.cc.